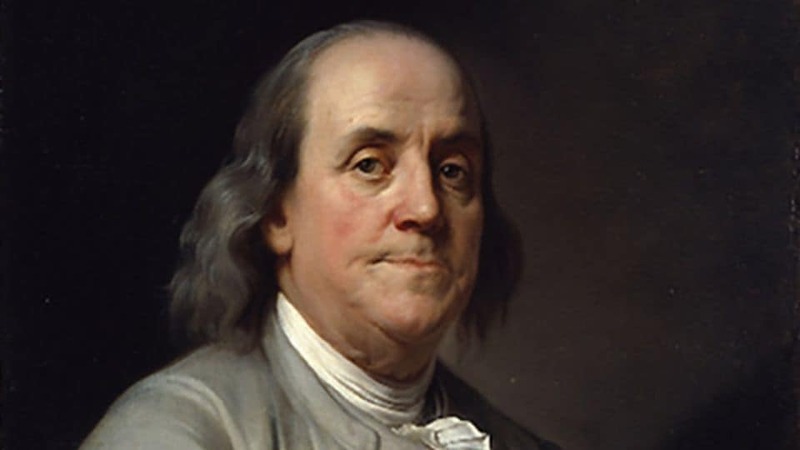 “It was about this time I conceived the bold and arduous project of arriving at moral perfection.” – Benjamin Franklin, The Art of Virtue. Ben Franklin did not mess around when it came to transforming the world. A framer of one of the world’s most successful democracies, inventor of the Franklin stove, bifocal glasses, and author of Poor Richard’s Almanac. And as if that weren’t enough, he flew a kite with a metal key attached to it in an electrical storm as way to research the nature of lightning. These are all great gifts Franklin gave to the world during his life, but I’d like to draw our attention to a program he created for continual transformation and improvement of the self. While this is an impressive list, Franklin quickly realized how difficult it is to make positive changes to oneself. He wrote “But I soon found I had undertaken a task of more difficulty than I had imagined. While my attention was taken up, and care employed, guarding against one fault, I was often surprised by another; habit took advantage of inattention; inclination was sometimes too strong for reason.” Because of this dynamic, Franklin committed to paying attention to one virtue per week for 13 weeks, while “leaving the other virtues to their ordinary chance.” At the end of each day he would write in his diary about how he fared with the virtue of the week. This way, he could go through each virtue four times per year. Franklin compared the process to weeding one garden bed at a time, rotating around the garden until finally no weeds grew at all. Franklin’s model points out the level of consciousness, attention, and commitment needed to take on deep and intense forms of change. He writes that it’s not enough to want to be a good person, but that “contrary habits must be broken and good ones established before we can have any dependence on a steady, uniform rectitude of conduct.” Being able to depend on your better inclinations requires an investment of time. The influence of Franklin was so great that many people have adopted his practice of 13 traits. The Jewish community in 19th-century Eastern Europe created a practice called “Mussar” (which is said to have been inspired by Franklin). I have created my own list of 13 traits, which differ slightly from Franklin’s. Mine include compassion/loving-kindness, gratitude, generosity, and trust in a higher power. Instead of what Franklin called sincerity, I practice truth. I combined Franklin’s values of industry and resolution into my value of enthusiasm. Chastity and temperance I included under moderation, and frugality I relabeled as simplicity, with an emphasis on the importance of distinguishing want from need. For the past six years, following Ben Franklin’s example for self-improvement, I’ve been working through my own list of 13 traits. This experience has yielded a few observations: First, Franklin was slightly over-optimistic with his desire for moral perfection. Perfection isn’t really possible for mere mortals – our job is simply to try and be a little better week to week, and year to year. We can become better by committing to a lifetime of practice. Second, it helps to practice with a friend or two in order to keep each other accountable. It doesn’t have to be intense or time-consuming, you can designate 30 minutes a week for a check-in call to discuss how your work is going. Three, don’t spend more than two weeks working on a trait, otherwise you will begin to fatigue and slip back into unconscious patterns. Keep moving through the list, so other traits can get your attention. If you were going to create a system similar to Franklin’s, how would you personalize or modernize the list of virtues? Which ones would you keep? Which ones would you revise, and which ones would you add? Please share your list in the comments! Also, if you would like more information on how to get started, drop me a line.